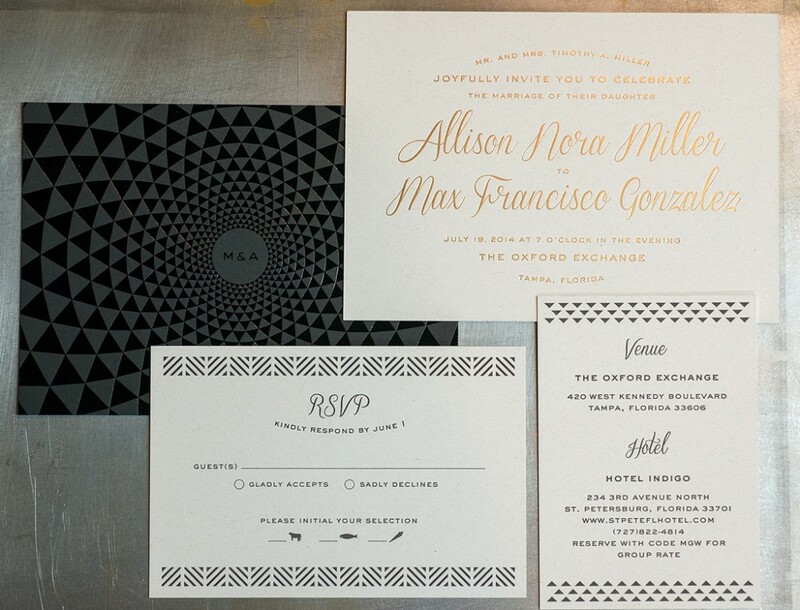 In-house designed wedding suite featuring foil and letterpress. 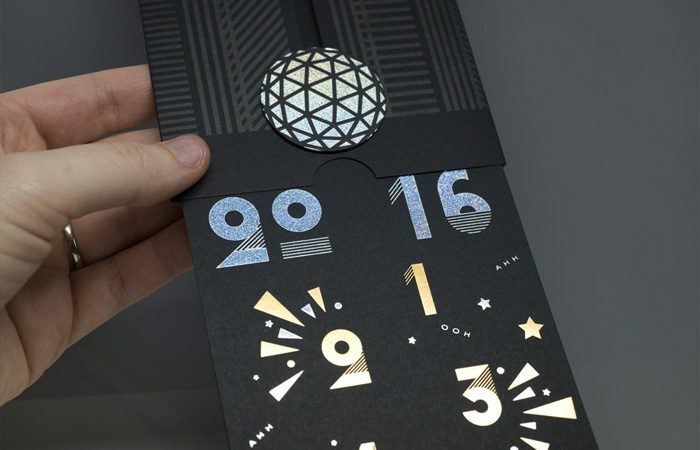 The invitation consists of black and gold foil on duplexed Neenah Environment Moonrock/ Classic Crest Epic Black stocks with the remaining pieces being black letterpress on duplexed Neenah Environment Moonrock. 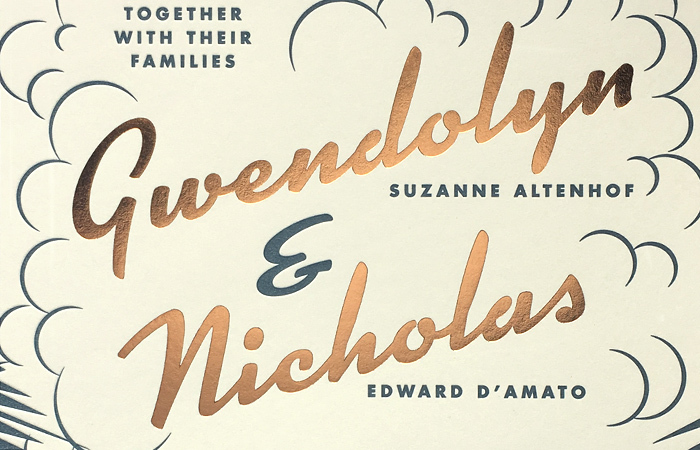 The wedding invitation suite utilized letterpress and foil stamping. 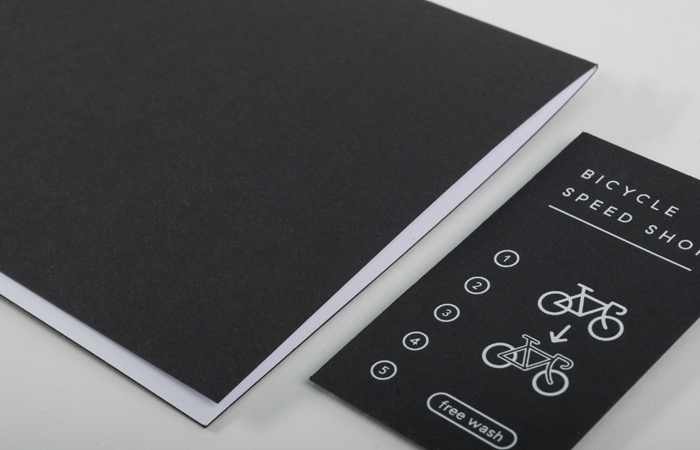 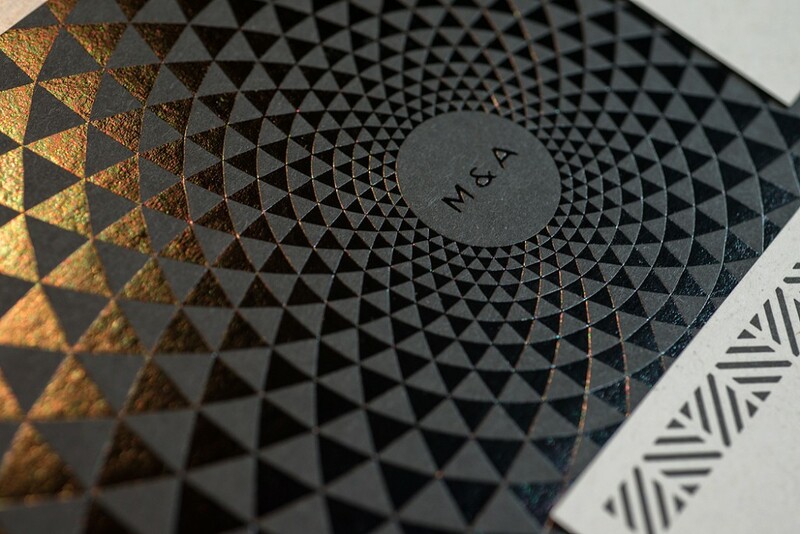 Detail of the invite back with black gloss foil on black paper stock.